In today’s digital age, it has never been more important for universities to have an online presence, especially on social media where so many prospective students are present and actively looking for information on their potential universities. 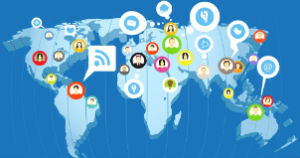 In this blog post, we will look at how various universities from three countries (UK, US and Australia) are using social media, with a special focus on their efforts to target international students. From looking at these examples, we hope you will find inspiration on how you can improve your own university’s social media strategy. We will also provide you with some key tips for social media marketers working at universities at the end of this article, which we hope you will find useful. 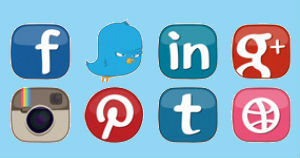 Across different social media channels, including Facebook, Twitter, Instagram and YouTube, University of Oxford has the largest social media presence. It has 3,590,896 followers on Facebook, and 490,000 followers on Twitter; the highest numbers of followers reached so far of any university worldwide. It has a large amount of content devoted to its stunning and well-preserved premises, which it uses to boast its prestige and heritage. However, it is careful not to let this give the impression that it is closed to the world. It also has content that showcases its global partnerships, such as its Africa Oxford Initiative (AfOx), which is a cross-university platform for academic and research collaborations between University of Oxford and African researchers and institutions; and its Oxford-Berlin research partnership, formed in December 2017. 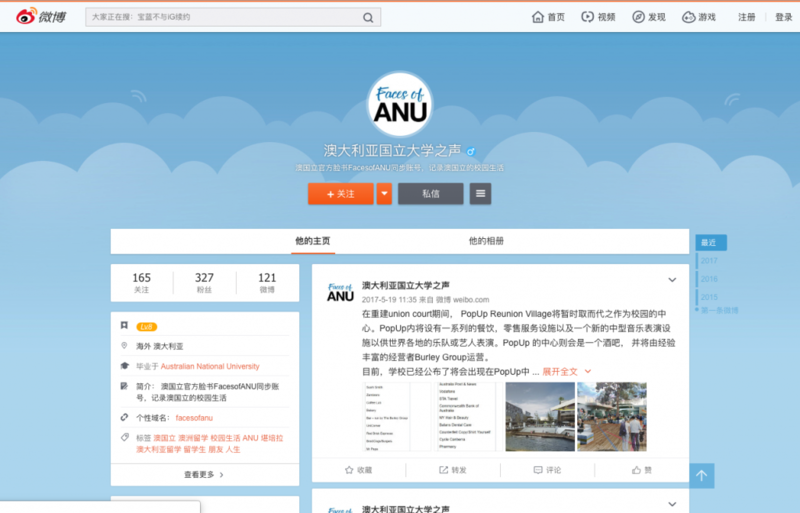 It also has a Weibo page in Chinese which is aimed at Chinese students. 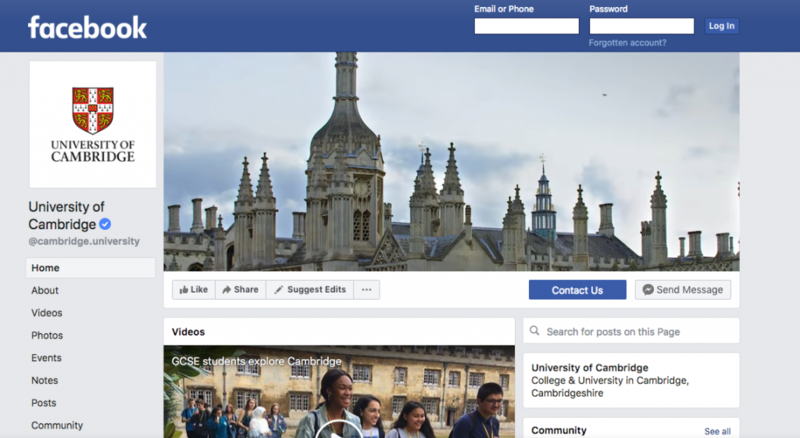 University of Cambridge (2,122,570 followers on Facebook; 442,000 followers on Twitter), in contrast to University of Oxford, has several posts and videos on its Facebook page praising the multiculturality of its students. Its has posted content showcasing a range of ethnic groups, as well as posts relating to the campus and life experiences of international students studying at the university. The overall impression it gives is that it welcomes international students, and that it wants to make them present and visible in the daily life of the university, fostering the diversity in their backgrounds and showing the rest of the students and the world that their diverse ethnic roots are beneficial for the educational experience of their students as well as in every learning environment. Throughout the year, University of Cambridge attends some overseas events where prospective students can ask questions and have a chat with a representative. It has recently held events in Chicago, Washington, Seattle, and London. It also offers prospective students the possibility to sign up and join a webinar in the event that the representatives are not in the country the prospective student is currently living in. Another difference between University of Cambridge and University of Oxford was observed during the initial stages of the research. When Googling the universities, University of Cambridge showed a direct link to the ‘International students’ section of its website, while University of Oxford did not. London School of Economics and Political Science (434,275 on Facebook; 77,200 on Twitter) has a section of its website for international students. The topics covered range from visa permits, cultural attractions in London, and life and housing in the city. There is no apparent translation of the page into different languages, despite the university boasting that is has students from 150 countries. There seems to be no mention of international events hosted by the university in its social media feeds, nor on its website. The Open University (330,286 on Facebook; 149,000 on Twitter) has got an international development office committed to nurturing education in Bangladesh, Pakistan and Sub-Saharan Africa. Its presence in these areas has been achieved by creating partnerships with local governments and institutions. There is no specific section for internationals students on its website, due to the nature of its study programs – students have the opportunity to study flexible classes remotely, either from the UK or abroad. Surprisingly, this international-ness is not reflected in its social media channels. It is worth noting, though, that it is responsive and easily reachable on Facebook; it tends to reply to questions and private messages within 24 hours. Moreover, its international community on Facebook claims to be open and responsive at any time of the day, including outside office hours. London Metropolitan University (369,823 on Facebook; 18,400 on Twitter) posted a video on its Facebook page that invites international students to avoid “accent shyness, culture clash or language barriers” as the university is located in London, where diversity is welcome. Aside from these few posts embracing multiculturality, the social media department has not created content to attract international students overseas to come and study at its institution. In August 2018, Rival IQ, a Seattle-based company that gathers, monitors and analyses social media and SEO data for companies, published a report on the best-performing universities on social media in the US. Among the top-ranked universities for social media, none of the best American universities as ranked by Times Higher Education were found. 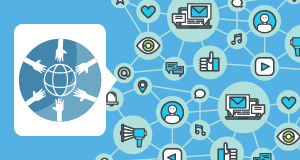 Moreover, the universities that are showing outstanding social media management and practices have approximately half the followers of more prestigious institutions like Harvard University or Yale University. This shows that the mere number of followers that a page has is not an indication of its quality, and that all institutions can potentially improve their social media strategies. The University of Iowa, with 165,573 followers on Facebook, and 108,000 followers on Twitter, is the university positioned in first place for social media by Rival IQ. Its success can be attributed to its consistent posting schedule; it posts two videos a week on topics that are important to its audience: e.g. campus events and students’ experiences on campus; pictures of the university, its parks and surroundings; and Hawkeyes, the university’s football team. Above all, the social media team of the University of Iowa has proven to be good at capturing the heart of its audience, and focusing on very visual content. Another thing that contributes to its first-place ranking is its responsiveness – it takes on average a few hours to answer questions made by students and prospective students on Facebook. It also engages with comments that are left on its posts. In terms of international students, it has students from 70 different countries, yet there is no content in its social media feeds about this, or content trying to recruit students from abroad. On its website, however, it has a video with the title and the hashtag ‘You’re welcome here!’ to show its diverse, inclusive, and supportive community. Colorado State University (155,093 on Facebook; 59,800 on Twitter), University of Virginia (178,651 on Facebook; 81,500 on Twitter) and Jackson State University (138,147 on Facebook; 35,600 on Twitter) are, respectively, the universities performing second-, third- and fourth-best on social media after the University of Iowa. All three have experienced change over the last year, turning their attention to their audiences and providing content that is relevant and meaningful to them. All of them share a common factor of responsiveness and approachability, rendering the communication between the institutions and the students very easy. The Australian university with the highest presence on social media is The University of Melbourne (417,107 on Facebook; 89,500 on Twitter), followed by the University of Sydney (367,044 on Facebook; 64,200 on Twitter). These descriptive data (the numbers of followers) are associated with the popularity and prestige of the universities. However, if we take into consideration factors such as responsiveness and content relevancy, in addition to the number of followers, the social media rankings of the universities undergoes some interesting changes. The University of Queensland (248,945 on Facebook; 79,500 on Twitter), climbs to first place when taking into account responsiveness and content relevancy. Its posts range from environmental matters and actionable environmental strategies inside and outside the campus, workshops in diverse disciplines, new research and scientific breakthroughs, to articles on ex-alumni making meaningful changes and current students’ experiences at the university. In addition to this, and the main reason it is occupying first place, it has a high rate of responsiveness – the questions that students and prospective students post on the Facebook page are answered in approximately 24 hours, and it engages with the comments students make on the content it posts, creating a seamless conversation between the university and its students. 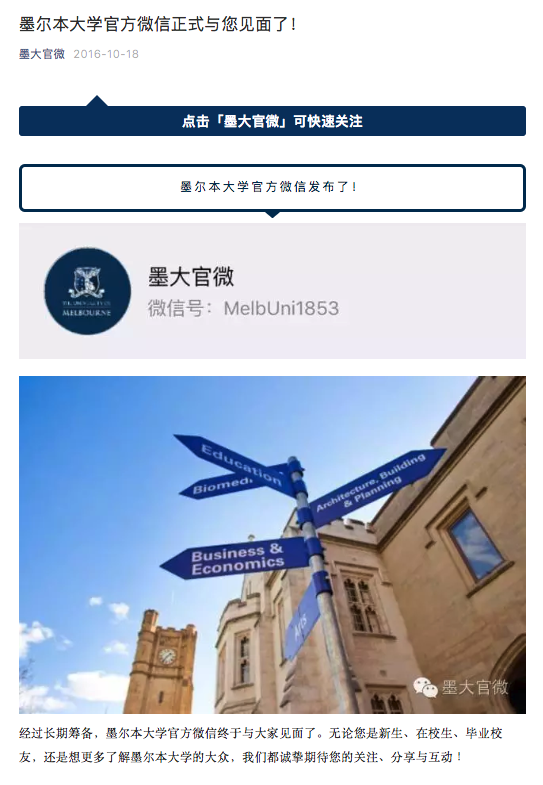 The University of Melbourne shows a good level of responsiveness on social media, answering students’ questions in approximately 24 hours, along with relevant and meaningful content. In August 2018, the University of Melbourne gave students the chance to become part of its Social Media Ambassador team, empowering them to share events, interests and experience from inside and outside the campus using Snapchat. This is a clever strategy since Snapchat is a widely-used platform among students and youngsters, and allows its members to showcase the perks of the university by giving up – to some extent – power and responsibility to its students. It also hosts open days and events overseas in order to inform and attract new students to its university. The cities where most of these events are held are in the Americas (New York, San Francisco, México, Sao Paulo, Bogotá and Santiago de Chile) and in Asia (Taipei, Bangkok, Semorang and Yogyakarta). In 2018, Australian National University opened its SEALO (Southeast Australia Liaison Office) in Singapore to foster both partnerships with local higher education institutions, and research and education in the region. Australian National University shows a good level of responsiveness on social media, answering students’ questions in approximately 24 hours, along with relevant and meaningful content. 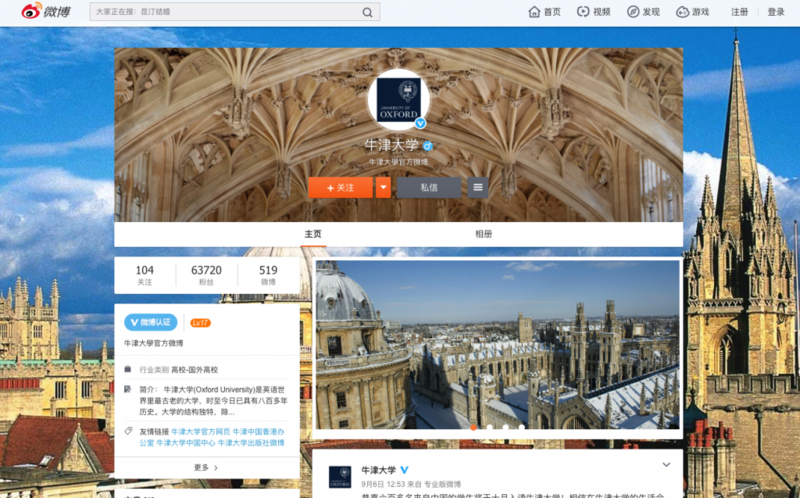 Furthermore, it has WeChat and Weibo accounts to target Chinese students and prospective students. Make sure you respond to comments, messages and questions as soon as possible, ideally within 24 hours. 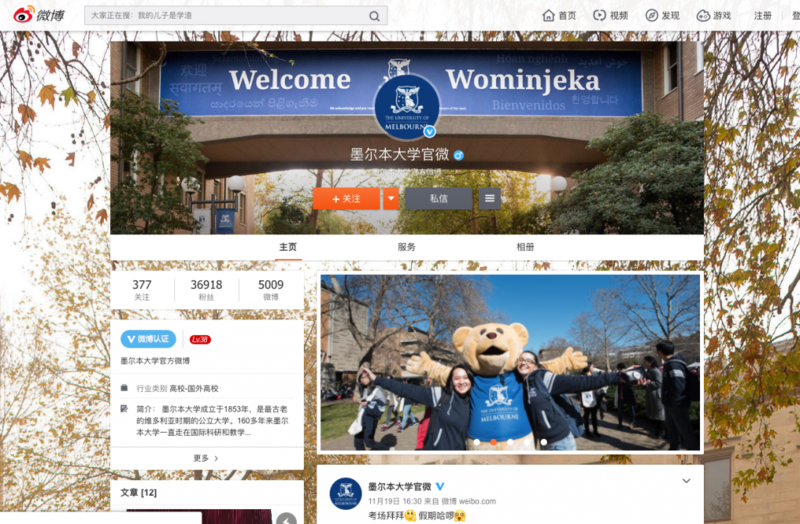 Follow the example of University of Melbourne and allow students and recent alumni to become social media ambassadors overseas. See if you can recruit a group of them willing to answer questions on social media. Use augmented and virtual reality to show international students what it is like to live and study at your university, so they can experience it and get hooked with the experience. Create videos and share these on your university’s YouTube channel, and then link to these in your Facebook, Twitter and Instagram profiles. The content of your videos should be in the languages you want to target. Most of the time, prospective international students living abroad will not necessarily be interested in the social life and all the social possibilities a university can provide. Rather, the focus of prospective international students will be on the academics, educational opportunities and careers outcomes after successfully completing a degree. Therefore, focus your videos on success stories of current international students and international alumni, notable instructors and professors, and leading-edge academic research or innovative programmes. Keep videos brief, ideally no more than two or three minutes. Consider creating a series of videos to show consistency, which can in turn translate into curiosity and engagement from interested students. Both Facebook and Instagram allow you to segment users based on age, geography, degree type, career industries, interests, skills and so on. While Facebook is more suitable for generating inquiries, open day registrations, events, and webinars for national and international students overseas, Instagram is deemed a powerful tool to communicate your brand message in short videos to those students that have visited your website. Twitter goes beyond the two former social media channels, allowing for in-depth segmentation and keyword targeting. 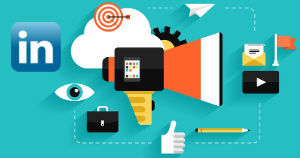 What seems to work best on this platform is promoted tweets leveraging photo and video ad formats, events promotion campaigns, and content, where you can share your values and show your personality. If you are targeting Chinese students, WeChat is perhaps the best option. Being on WeChat gives you the chance to establish a connection with the student long before they arrive on your campus. There are several WeChat features that can be used to recruit students. Although in Western countries direct messages from organisations to users are regarded as intrusive and inappropriate, in countries like China, WeChat users expect organisations to actively engage through their official accounts. Therefore, universities, for example, could personally greet every Chinese student on WeChat on the first day of their university course. You could even create group chats to inform a particular group of students that an open day, a webinar or fair will take place in their city or nearby locations. In the same way that many universities use Facebook and Twitter to post frequently about what is happening on their campuses and what they can offer to new and current students, universities can post these same stories in WeChat’s feature ‘Moments’. These moments appear in the user’s news feed organically, or you can create paid social campaigns, providing a link in the ad that leads to your university’s official WeChat profile. Want to know more? We have more in-depth guides about digital marketing in the education sector on our Know-How platform! You can view them here. Editor’s note: Davide Piacentini Genovart conducted the research for this blog post. 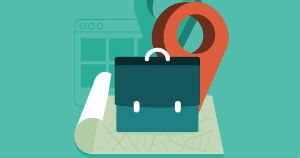 Expanding your business into Russia or China?